Super Soft Basic Scarf in rich Colors. 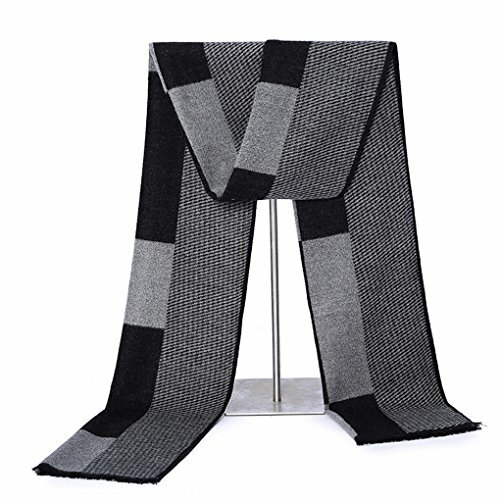 This elegant premium quality scarf is a great addition to your collection of fashion accessories. Trendy and versatile, warm and light weight, perfect for spring autumn and winter seasons. Brings you simple & effortless style. This makes an excellent gift on any occasion. DIMENSION: 71*12 inches, 180*30cm,Long fashion scarf, keeps you cozy and warm on chilly winter nights, infuses style, elegance and sophistication to any outfit. FEATURES: Super soft and comfortable touch,no itchy, it will be gentle in your neck to keep warm. DESIGN: Stylish lattice,Unique patterns and colors,or striped design to meet your daily wear and formal occasions. match your jacket,coat,suits etc.Ideal for use in spring,fall,or winter. SERVICE: 90 days money back guarantee, If you have any question about this scarf, please contact us,we will solve your problem ASAP, In order to give you a good shopping experience. If you have any questions about this product by gugugaga, contact us by completing and submitting the form below. If you are looking for a specif part number, please include it with your message.